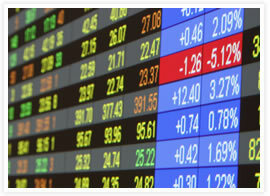 Bilav offers end-of-day equity pricing service providing pricing data for Bombay, National and MCX stock exchanges. Data elements include open, high, low, close, traded volume & value, number of transactions… Our Pricing data provides value added fields like ISIN and cross mapping of BSE code and NSE symbol. This considerably lowers the possibility of missing a price data owing to non updated exchange code while automatically processing the price file in 3rd party software. The price data is send via email on daily basis and also available via FTP. Our End of Day Pricing service enables users to swiftly obtain accurate pricing data allowing them to mark-to market their position and settle transactions on a timely basis. They also have to flexibility to cost-effectively feed this information into their websites and third-party software.